If you can't find the answers you want on this website or in Mama Gums' books, you can ask Mama Gums herself! Your mouth is a reflection of your total body health! Sheila offers personalized oral health consulting by telephone and oral health coaching in person (within the San Diego area). Consulting and coaching sessions are customized for your specific challenges. Sheila is also available to work with your healthcare professional. Consulting is the application of expertise to solve your problems. Mama Gums will analyze your situation based on the information you provide, ask you important questions to gather additional information, and make specific recommendations for you to consider. One hour consulting session includes Sheila's e-book Your Mouth Could Be Killing You! Click here to request a telephone consultation with Mama Gums. Click here to purchase telephone consulting time from Mama Gums. Rates are $30 for each 20 minute increment. Coaching is a relationship that empowers the client to reach his or her goals. Mama Gums motivates, trains and supports you to make valuable changes in your perceptions and habits. You will learn and apply new skills that make a positive difference in your life. 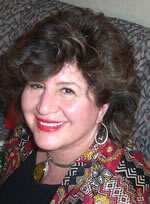 Click here to request in-person oral health coaching with Mama Gums (San Diego area only). Click here to purchase in-person oral health coaching with Mama Gums (San Diego area only). Rates are $90 for each one hour increment. Oral Health Educational Workshops and Education Seminars are available in the San Diego area to groups of 10 or more people. Ask about Small Group Workshops & Educational Seminars! To request more information about Oral Health Educational Workshops, click here. Please contact Sheila for questions, concerns, or Speaker fees. You can call at: 1 - 866 - MAMA - GUMs. Subscribe to Mama Gums' free online newsletter! Learn more about Mama Gums' free online newsletter!